WOMAN IN GOLD stars Ryan Reynolds and Helen Mirren. ©Anchor Bay/The Weinstein Company. Available Tuesday on Digital HD is “Woman in Gold,” starring Academy Award winner Helen Mirren (“The Queen”) as an immigrant who embarks on a journey to reclaim her heritage and seek justice for what happened to her family 60 years earlier. The acclaimed drama is based on the true story of Maria Altmann, who fled Vienna during World War II to escape Nazi persecution. As an elderly Jewish woman, Altmann (Mirren) starts her journey to retrieve family possessions seized by the Nazis, among them Klimt’s famous painting Portrait of Adele Bloch-Bauer I. Together with her inexperienced but plucky young lawyer Randy Schoenberg (Ryan Reynolds), she embarks on a major battle, which takes them all the way to the heart of the Austrian establishment and the U.S. Supreme Court. The experience forces her to confront difficult truths about the past along the way. “Woman in Gold” also will be available on Blu-ray, DVD and On Demand Tuesday July 7. Bonus material includes a making-of featurette, a feature commentary with director Simon Curtis and producer David M. Thompson, a documentary about the theft of the Klimt painting and more. 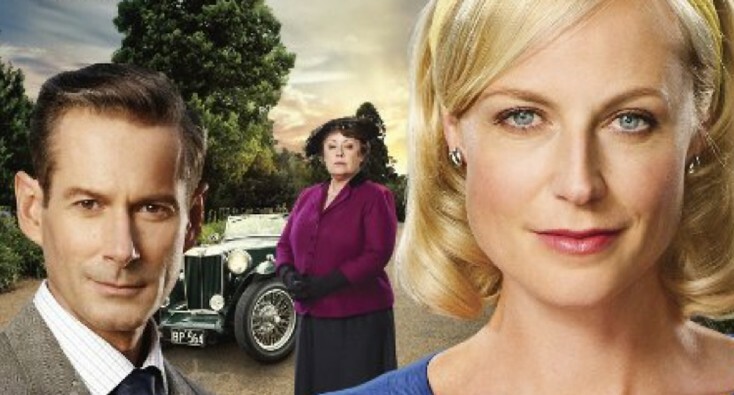 Season Two of the hit Australian period drama “A Place to Call Home,” is available from Acorn on DVD Tuesday. The series, starring Marta Dusseldorp (“Jack Irish”) as indomitable nurse Sarah Adams, explores the ties that hold families together and the betrayals that can tear them apart. Set in the 1950s, “A Place to Call Home” tackles issues of social class and sexuality with insight and intrigue. In Season Two, momentous changes await Adams and the wealthy Bligh family. She and dashing George Bligh (Brett Climo) contend with the machinations of his mother (Noni Hazlehurst) to drive them apart. George’s daughter, Anna (Abby Earl), is determined to prove her love for the unsuitable Gino (Aldo Mignone), while son James (David Berry) and his pregnant wife, Olivia (Arianwen Parkes-Lockwood), face fierce challenges to their marriage. Bonus material includes approximately 70 minutes of behind-the-scenes interviews with the series’ creators and cast, clips about the characters and more. Two-time Academy Award winner Sean Penn (“Milk,” “Mystic River”) is the object of a deadly international manhunt in the thriller “The Gunman,” available in a Blu-ray Combo Pack, DVD as well as On Demand Tuesday from Universal Pictures Home Entertainment. Also available on Digital HD, this adventure from director Pierre Morel (“Taken”), “The Gunman” combines suspense, non-stop action and star power. As Jim Terrier, Penn plays a former black-ops assassin who thought he had left his past behind, but eight years later someone from his old organization wants him dead. Pursued across Africa and Europe by a team of elite hit men, Terrier is dragged back into his dangerous past as he engages in a relentless cat-and-mouse game to take out the man who betrayed him. Idris Elba (“Prometheus,” “Mandela: Long Walk to Freedom”), Ray Winstone (“The Departed”), Mark Rylance (“Wolf Hall”) and Oscar-winner Javier Bardem (“No Country for Old Men”) costar in this thriller.